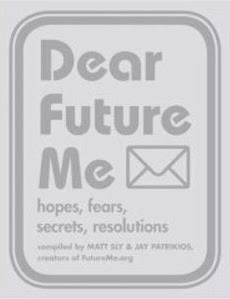 Sadly, it’s not yet possible to send advice to your PAST self - but a new service lets you send ‘time capsule’ emails to your future self. Futureme.org works like a simple webmail service, but lets you specify the date when the message will arrive - be it a warning, advice, or simply a ‘Hello!’ from the past. 'FutureMe.org is based on the principle that memories are less accurate than e-mails,' says the site. The site recommends using a Gmail address or other webmail address, rather than a work one - your future self might well have changed job. But you can also go back into your email ‘to the future’ and alter it to ensure delivery. The site allows you to send emails privately and anonymously, but publishes ‘public but anonymous’ excerpts of mails sent to various future selves.